The Azores archipelago is known not only for its natural beauty and landscapes, but also for the natural properties and health benefits its thermal waters provide. 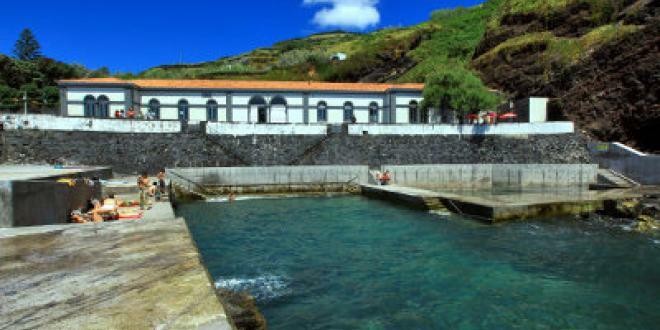 This list will provide you with the most updated and comprehensive information of Spas with thermal water pools and natural thermal baths located in the Islands of São Miguel and Graciosa. The 4 star boutique hotel is located in Furnas, site of the largest concentration of thermal waters in Europe. 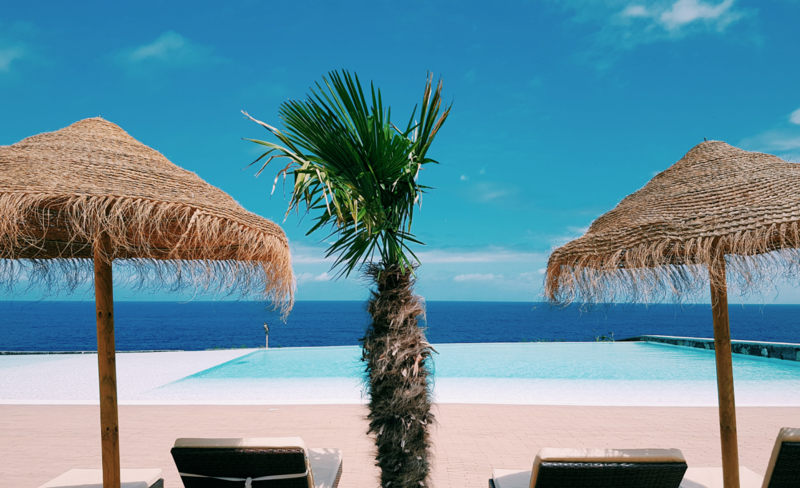 The hotel features contemporary rooms and suites in a tranquil environment, tasty traditional Azorean meals at its restaurant “À Terra”, indoor and outdoor swimming pools and a Spa and Wellness Center. 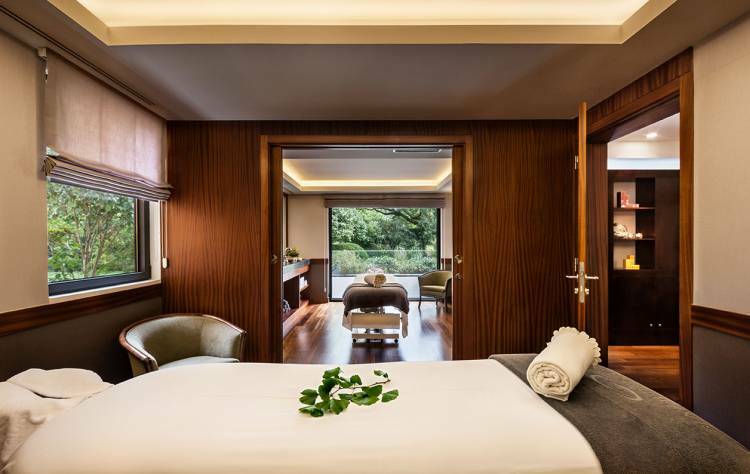 The hotel Spa Center has 10 treatment Rooms, floatbed, Shirodhara (massage with oils flow), Vichy Shower and Hydro Massage, Sauna, Hamam and a Fitness Center. 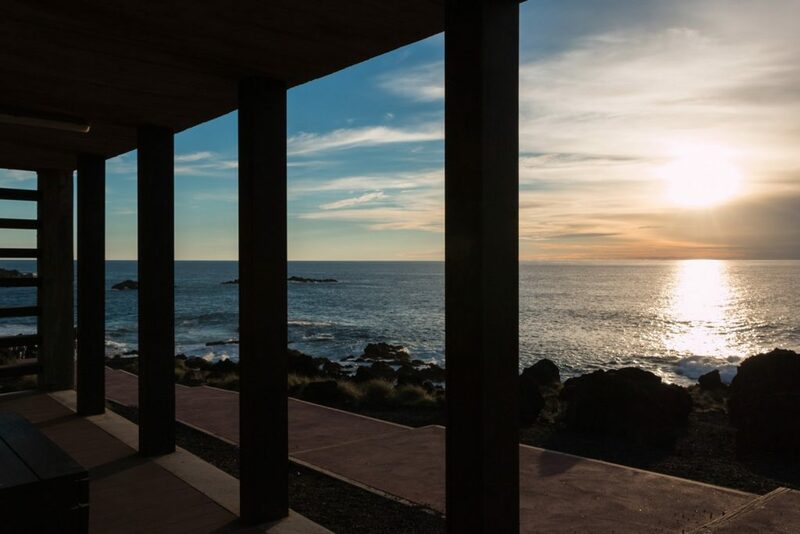 Located in Ponta da Ferraria, Termas da Ferraria is a contemporary oceanfront retreat featuring multiple geothermal pools, spa services and a restaurant. 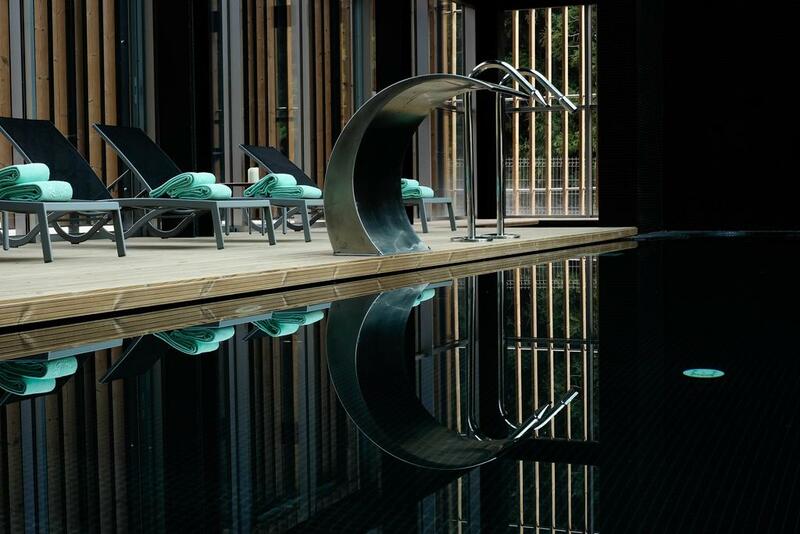 The Resort Spa, “Pedras D’Alma” (Stones of the soul), features a beauty and well-being center, indoor pool with jacuzzi, sauna, turkish bath with chromotherapy and gym. Outside, you can enjoy the pool with sea view, play tennis and explore the Saint Peter walking trail and its natural pools. Its restaurant, Meia Nau, serves food inspired in local gastronomy. Its bar, serves light meals and cocktails that can be enjoyed near the outdoor pool. Located in the Furnas Valley, Terra Nostra Garden Hotel is surrounded by trees, calderas, mineral and thermal springs. Next to the Terra Nostra Botanical Park, it features indoor and outdoor thermal pools and is a short drive from volcanic beaches, forest areas, and two golf courses. The hotel’s restaurant serves local dishes, while the bar offers refreshing drinks. Natural thermal-water pools along the ocean, reachable via a climb over basalt rocks and a ladder where you can enjoy the mix of hot thermal water and cold ocean water. Ferraria’s natural pools are warmed by two springs of thermal waters of volcanic origin. They are considered a unique case in the world, due to the existence of thermal salt water with a very high sulfur content. It is said that the water, cures problems of rheumatism and are also used to treat diseases of other geneses. With a temperature between 35º-40º Celsius (95º-104º F) , the thermal spring that supplies the pool is charged with essential minerals. Surrounded by vegetation and large trees, it is one of the best ways to restore one’s energy and experience the mystical natural surroundings characteristic of Terra Nostra Park and the Valley of Furnas. Offers 5 different natural thermal pools with a breathtaking tropical landscape, showers and a gift shop. A place where you can restore and revitalize the harmony between body, mind and nature. 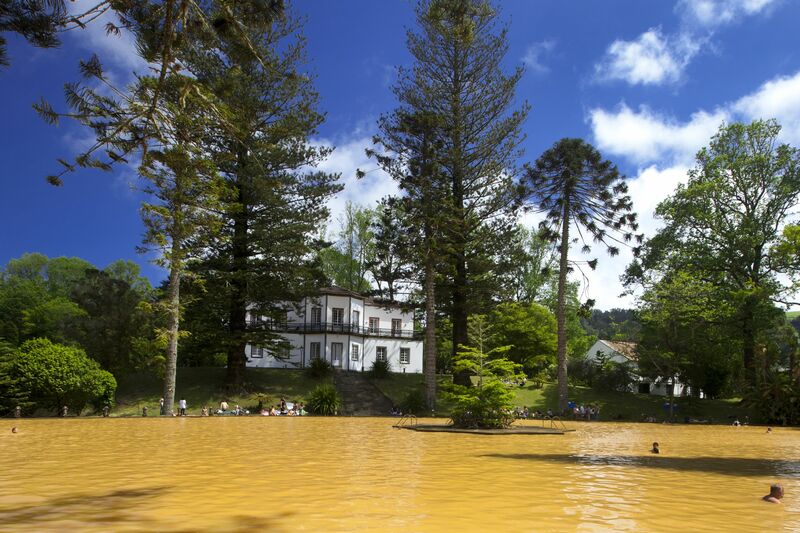 According to Dona Beija’s website, the high iron content of its water springs is said to combat anemia, allergies, acne in children and parasitic diseases. The clay and mud found in the pools are suitable for pelotheraphy. 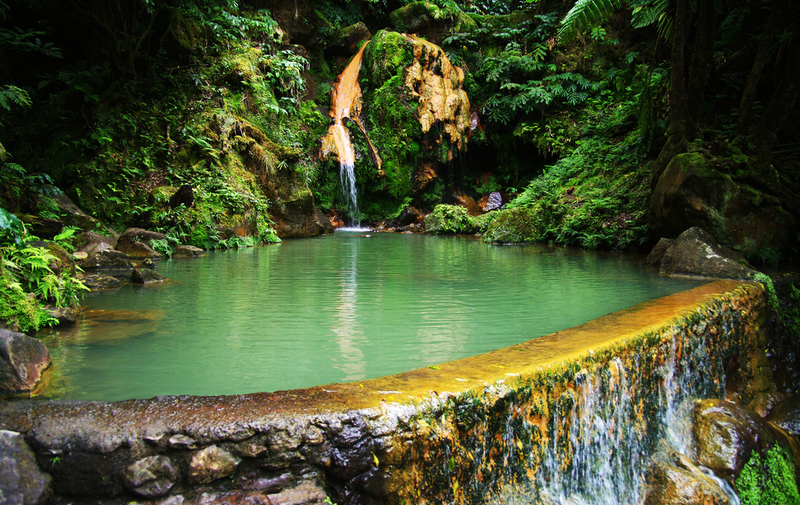 Located on the north slope of the Fogo Volcano, Caldeira Velha is a waist-high pool of mineral water located under a warm waterfall. The magical atmosphere makes it the perfect place to end a busy or active day. Dive in the pool, relax and enjoy! The spa offers a breathtaking landscape, it has an indoor swimming pool with salt water at 37º Celsius (95º-104º F), and it is very affordable (about 1 euro per person). 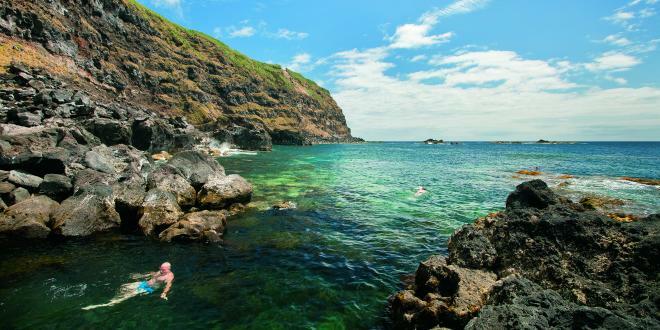 The Carapacho springs are located by the sea, in the southeast of the island of Graciosa, among black basalt rocks that contrast with the blue of the sea. Its thermal stations are equipped with 16 individual immersion cabins and a medical office. The thermal water comes from a water spring situated within the thermal stations’ building. It is said that this water has been used since 1750 in the treatment of rheumatism, colitis and skin diseases. Water temperature varies from 35º- 40º Celsius (98.6º F). 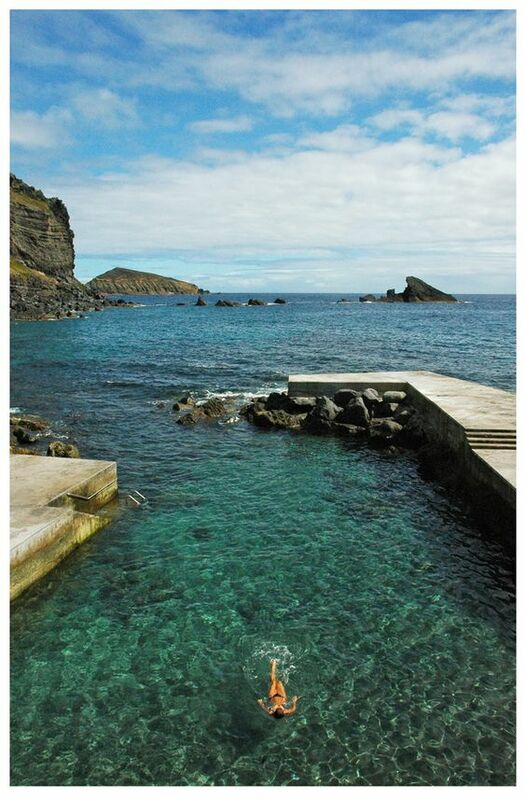 This entry was posted in Activities, Azores, Travel Tips.